The initial results are in and it is safe to say the deer season is looking good for hunters in the fall of 2016. Outdoorsy people in some of the most historically fruitful states for deer hunting are finding success at a rate that bodes well for other game-seekers the remainder of the fall. Officials in states everywhere from Utah and Delaware to Oregon and Idaho and pretty much everywhere else have reported astronomical numbers recently, and they don’t expect it to slow down for a couple months. And as most hunters know, deer hunting doesn’t typically peak until later November, so times are definitely looking good. Some wildlife officials and hunters are pointing to consecutive mild winters nationwide for the current uptick in deer populations (because more and more deer can outlast winter weather and grow robust during the spring) and a surge of nutritional natural food sources that are conducive to large herds flourishing. That said, even with deer populations booming, every hunter will tell you that getting a deer bagged is never an easy proposition. Every climate, terrain, setting and herd is different and require unique strategies and tactics to ensure a successful hunt. 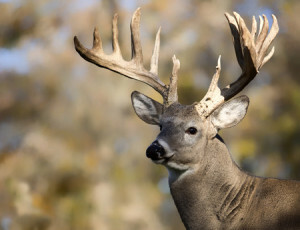 You can get tips and a deer hunting forecast for every single state in the union right here.